Application closing date : 09th Sept, 2016. Educational Qualification: Candidates should possess Candidates Should have been must Qualify B.Sc. 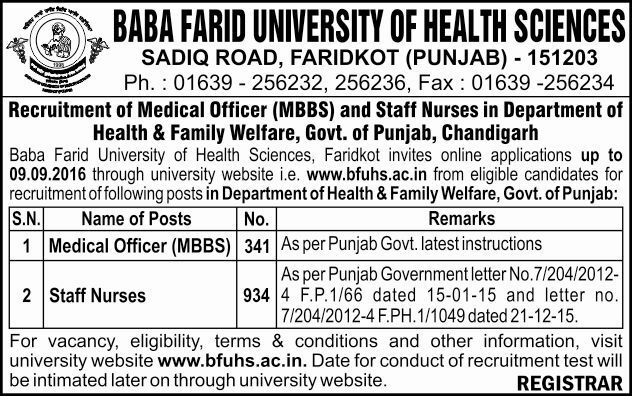 Nursing | GNM Course | MBBS Degree | qualification as per Punjab Government Latest Instructions and Equivalent from a recognized university/ Institute.